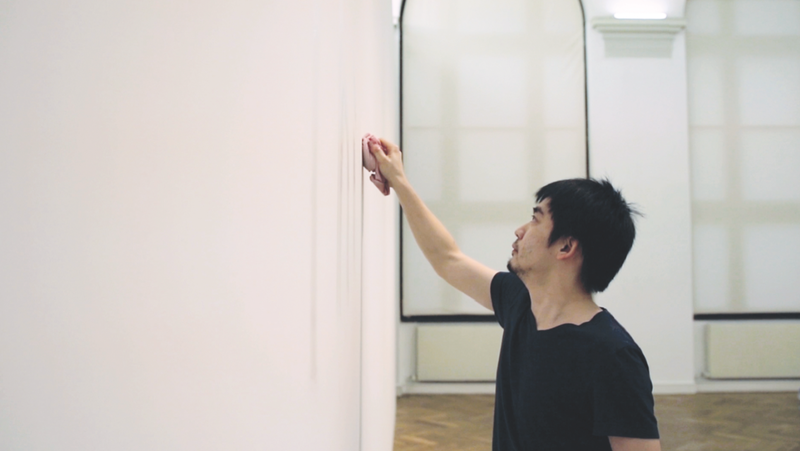 “This is the next song” is a typical sentence the singer of a band would say to introduce the title of the coming song, after which the audience would be silent and expecting… Jianan Qu “writes” the sentence with a wet cleaning rag on the white museum wall. Leaving the audience to the fading sentence, the piece questions the role of expectation in the art space. As it dries, the wall itself becomes the performer.